The different degrees of nerve lesion in the Seddon classification and the Sunderland classification are described. Reasons are given as to why the latter classification is more important: it differentiates between nerve fiber damage and the consequences of connective tissue damage within the nerve trunk. With a better understanding of the field, the numerous varieties of nerve recovery lapses are becoming much clearer with the application of the Sunderland classification. Even with slight nerve damage, we can still expect a secondary connective tissue reaction after a few weeks. This process – referred to as fibrosis – can have a secondary effect on functional nerve recovery. 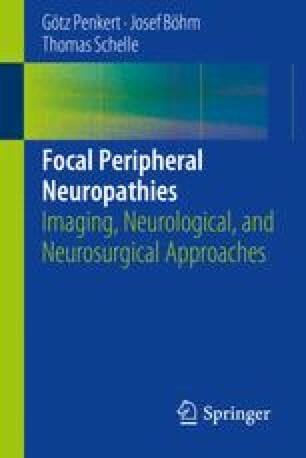 The question as to whether these lesions need additional micro-surgical techniques is discussed. How and why micro-surgery in a focal nerve entrapment can be followed by an intractable pain phenomenon is discussed.